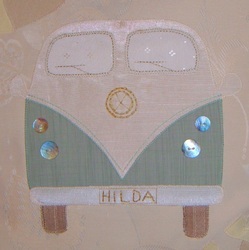 Campervan, Mustang, Rolls Royce... ? 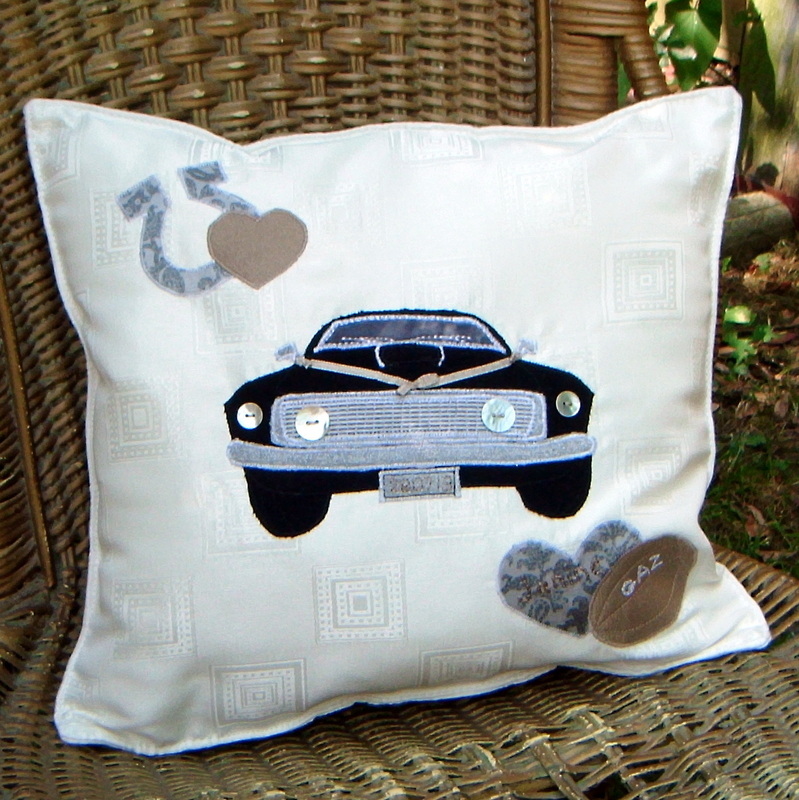 Whichever you chose was a happy memory for you - now capture it on a Personalised Cushion or Canvas, designed especially for you. 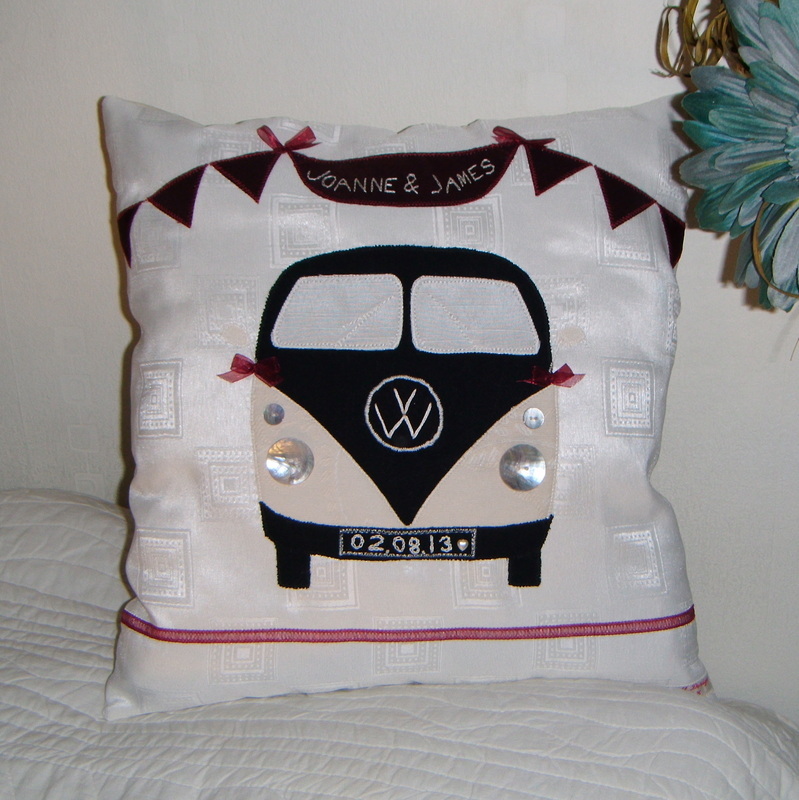 These beautiful canvases and cushions are created from soft satins, silks and linens, with double-stitch hem for a crisp pure edge, just perfect for a wedding gift. 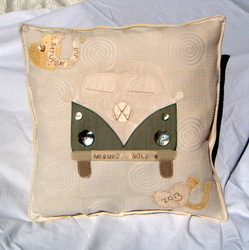 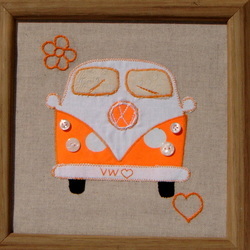 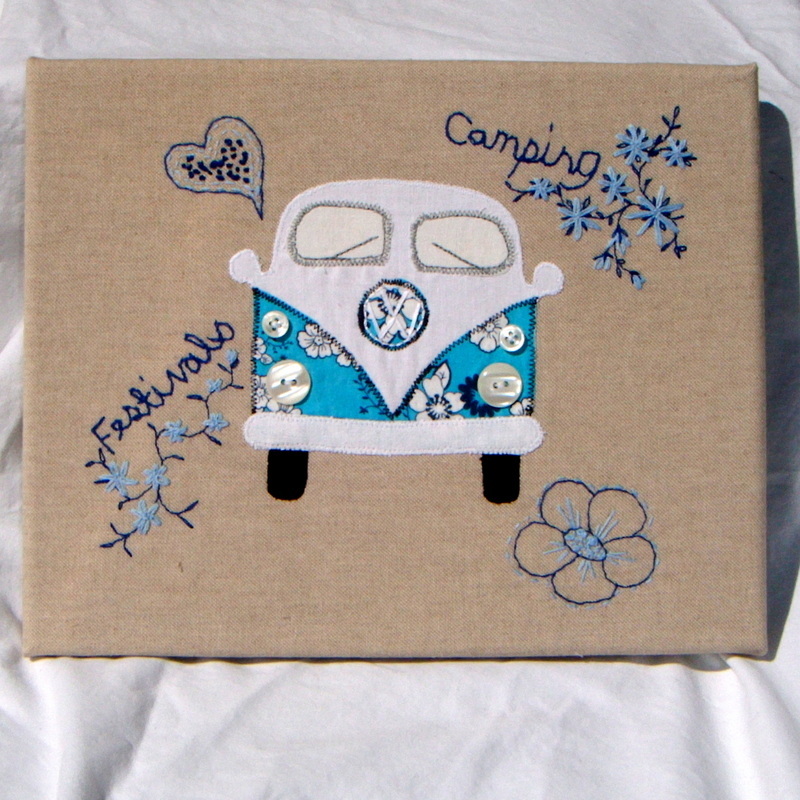 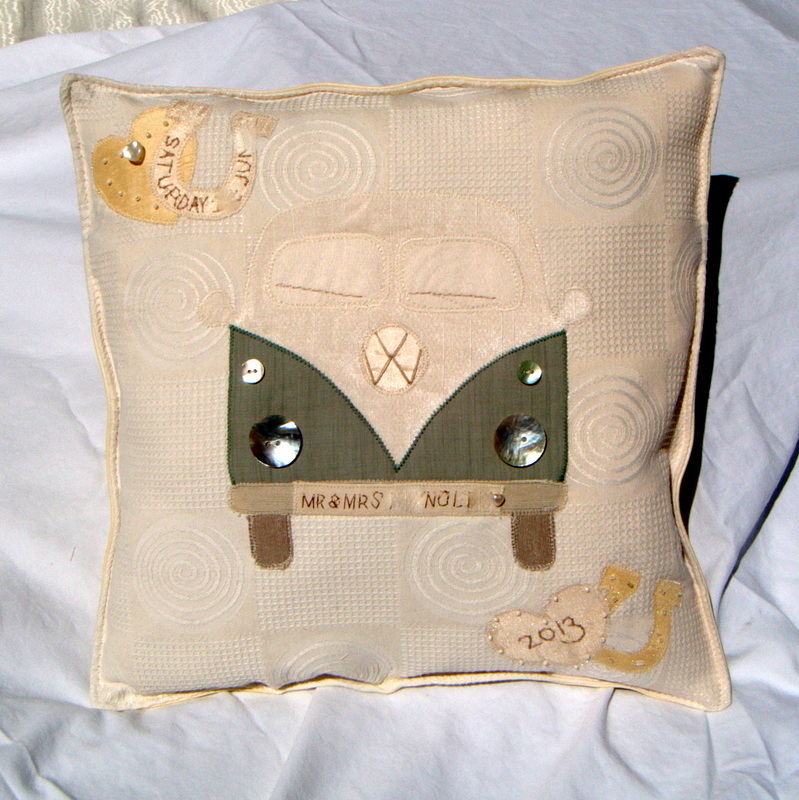 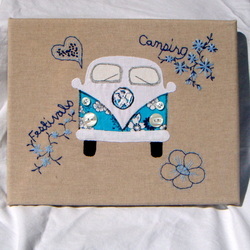 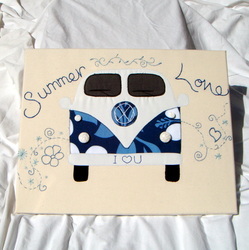 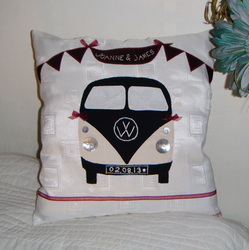 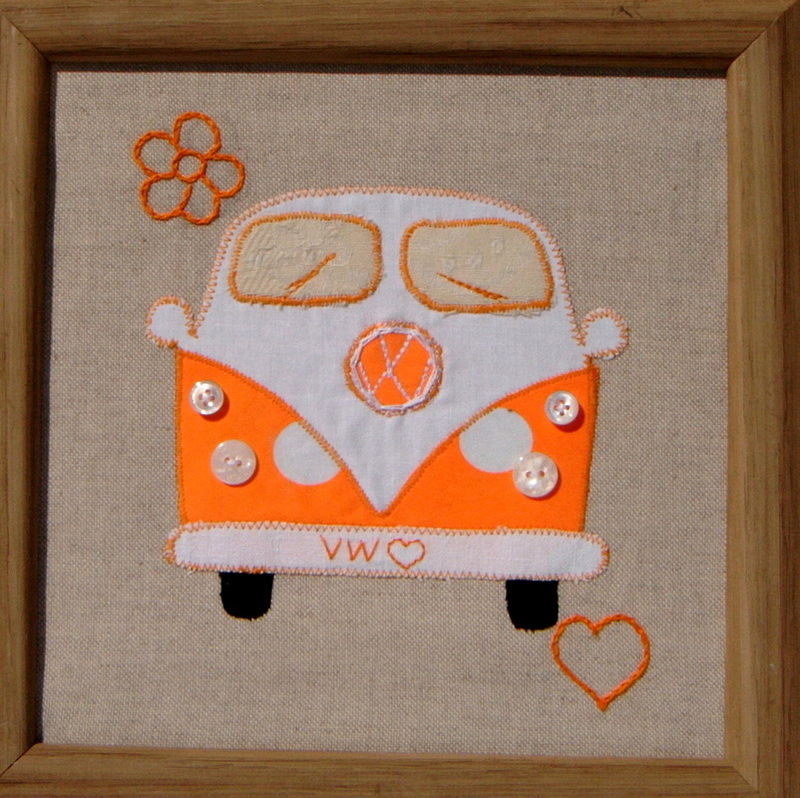 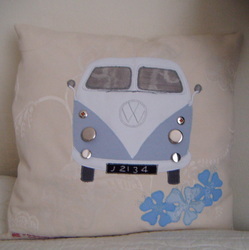 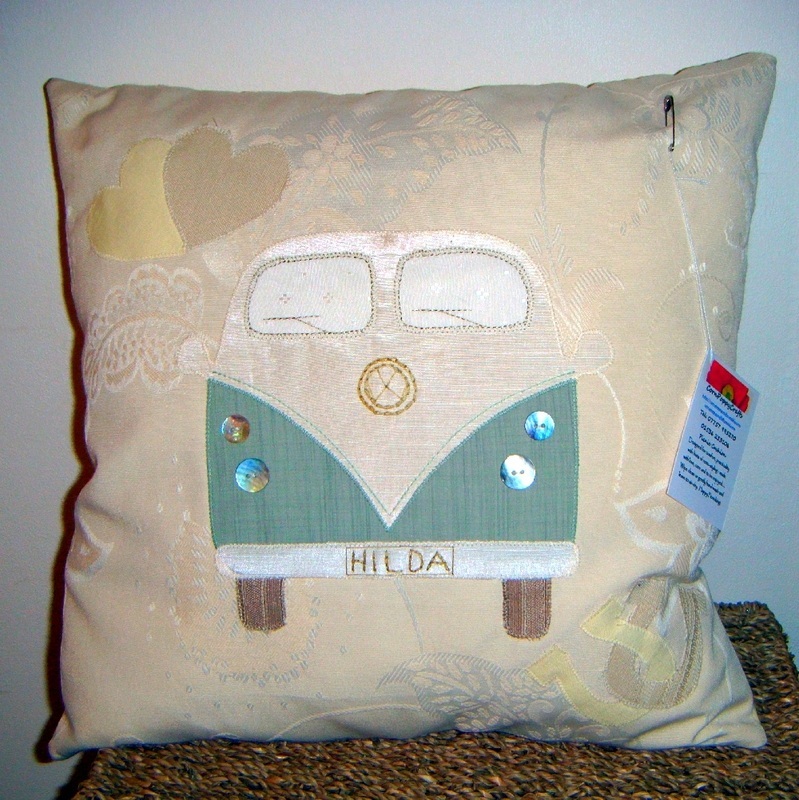 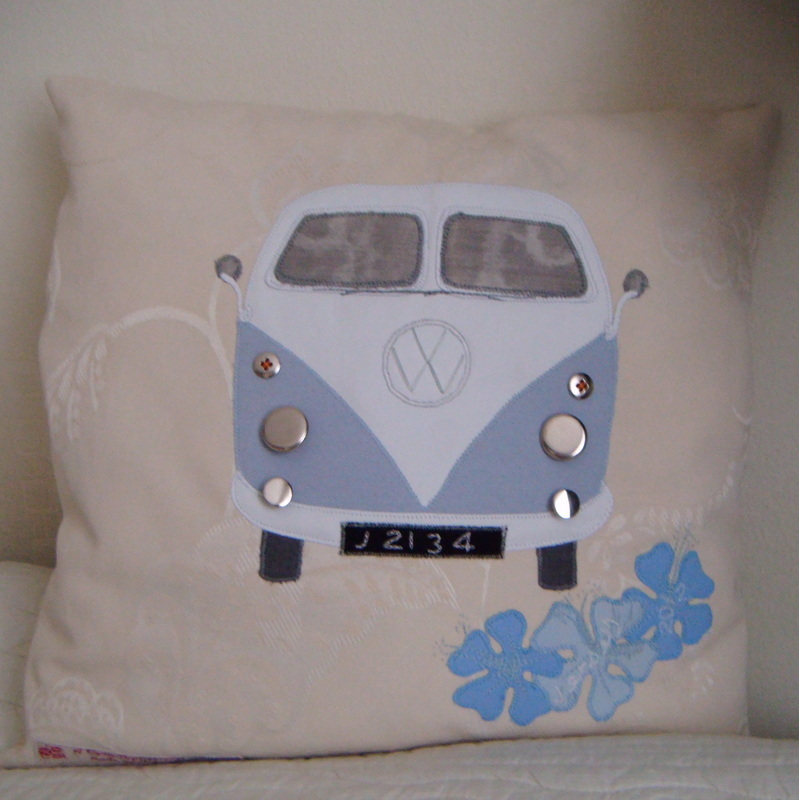 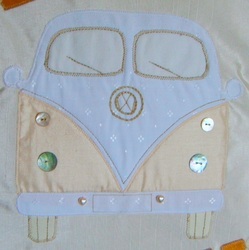 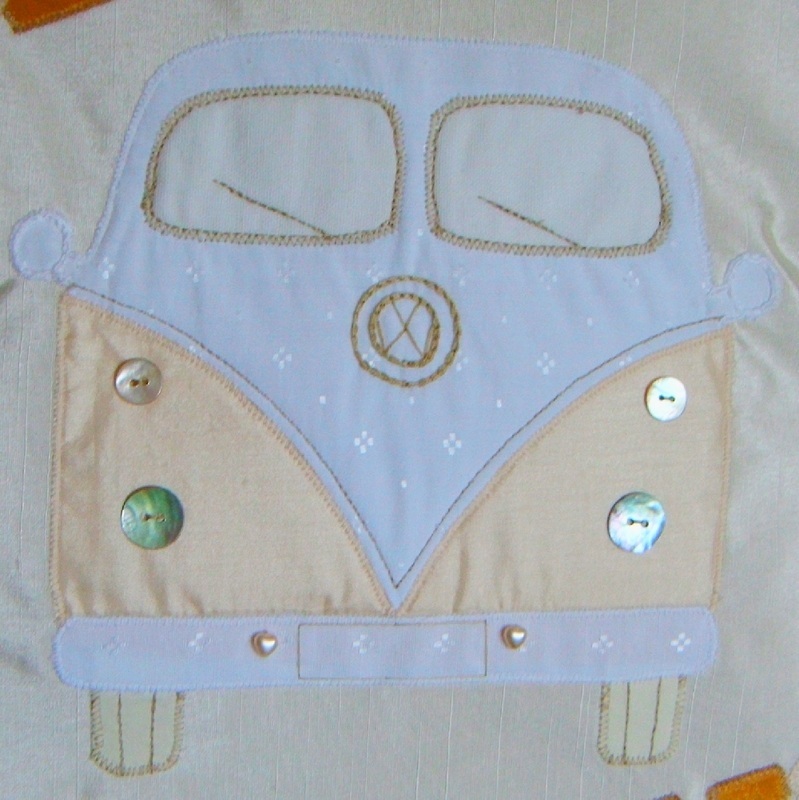 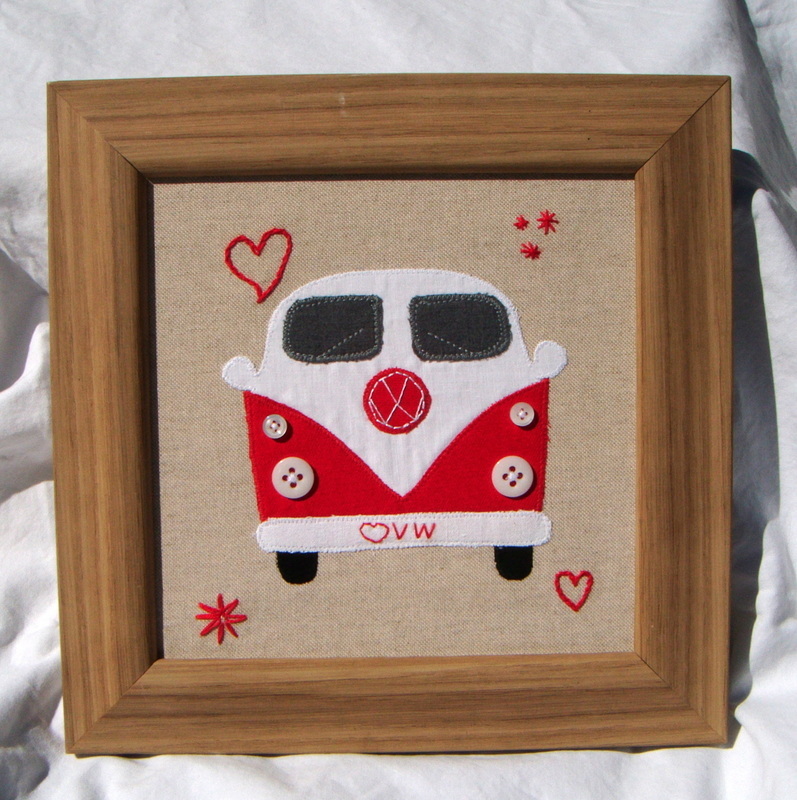 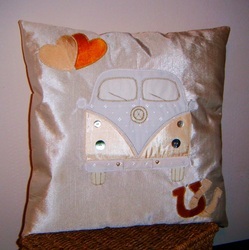 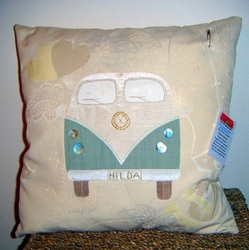 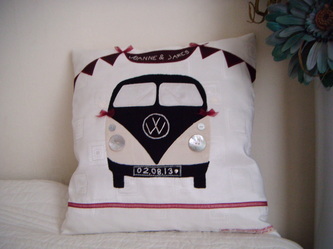 onto a canvas or cushion, using the colours of the car along with colours of flowers, bridesmaids dresses to complement.
" 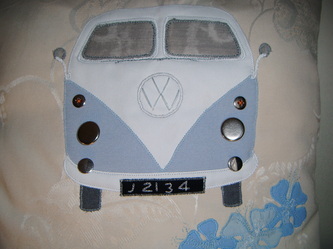 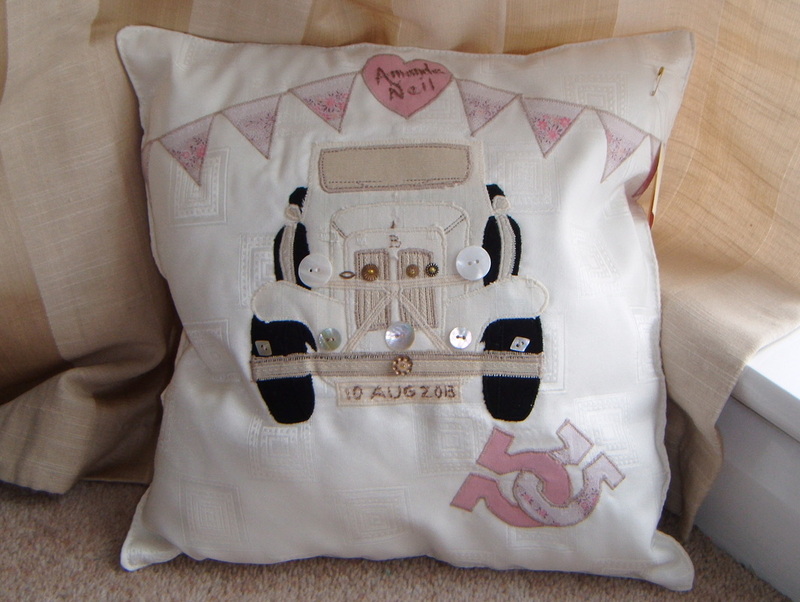 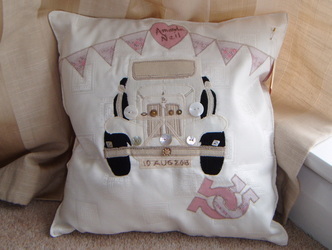 Your names are Hand Embroidered, along with the Date onto the Number Plate and Embellishments. 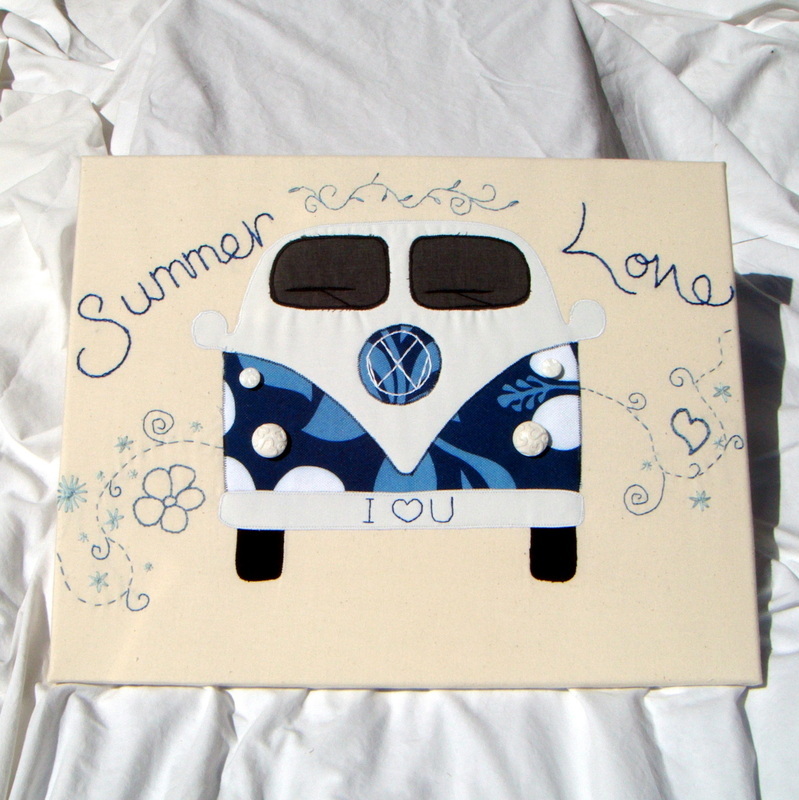 They make a really thoughtful Gift for the Bride and Groom, your Loved one and for that Special Anniversary Celebration"
"What beautiful flowers did you, your wife or mum have in the Wedding Bouquet? 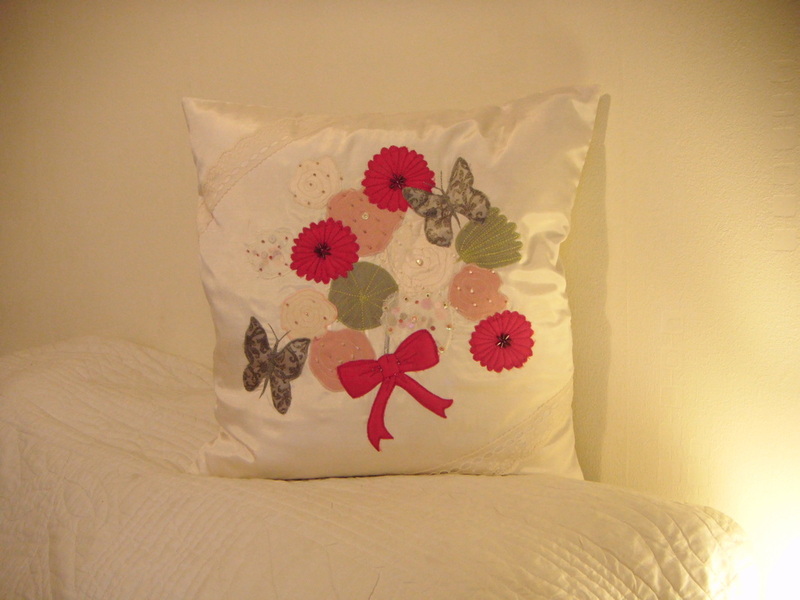 Sadly we can't keep the flowers, but we can remember them by having a Cushion or Canvas designed with your bouquet in mind....."